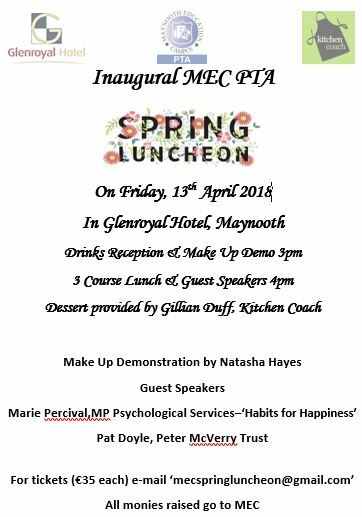 We’ve a great new social event for you to add to your diaries – the first Spring Luncheon on Friday 13th April in the Glenroyal Hotel at 3pm. Whether you are new to Maynooth Education Campus or not why don’t you come along to this exciting event which promises to be social and interesting? 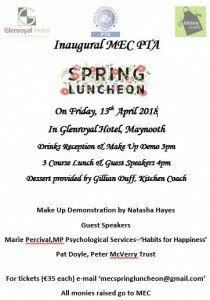 For a ticket e-mail ‘mecspringluncheon@gmail.com‘ or contact a member of the PTA. Next post: Mock Interviews – Thank You!